Both editors have long been involved in speculative fiction. Joyce Chng is the author of several urban fantasy and Young Adult novels written from a Singaporean perspective. Jaymee Goh, currently a PhD Candidate at the University of California, Riverside, has published short fiction and poetry, including a series of short stories set in a re-imagined Malaysia uncolonized by the West. Both are also consistent critics of the genre’s Eurocentrism. 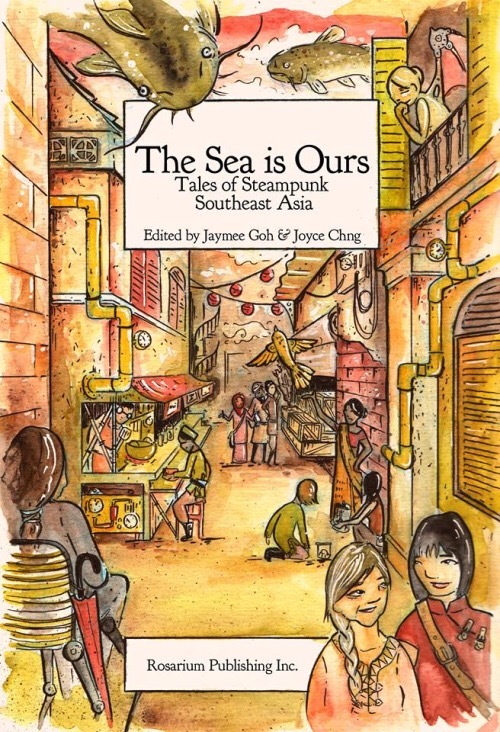 “We felt unsatisfied by representations of Southeast Asia in most of speculative fiction,” Goh says in an interview with Asian American Press, “and felt very strongly that steampunk would be a really great way of talking about the myriad histories in the region. Very excited to see this book go out into the world, and more details about the book and how to support it can be found after the jump. As I mentioned last year, Lunar New Year has a diverse history across many countries in Asia and beyond. I celebrate it as Tết, but wish everyone a happy and prosperous Year of the Dragon! Image courtesy of kerembeyit on DeviantArt. Click for link. 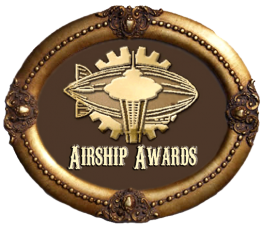 It’s not that the phrase “Asian Steampunk” is intrinsically flawed. It’s just that the range of concepts displayed in “Asian Steampunk,” whether fiction, gaming, or costumes, are so so…limited. You’d never catch “Western Steampunk” limiting itself to cowboys, hard-boiled detectives, and British bobbies. Why then limit yourself to samurai, ninja, and geisha? There was so much more to the cultures and peoples of east Asia than that. 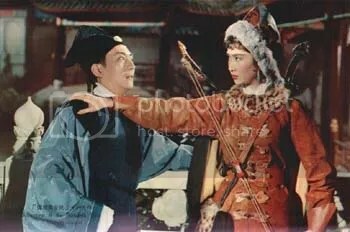 From the Chinese film version of "The Gallant Maid" titled "The Heroine"
He Yufeng was created by “Yanbei Xianren” and appeared in Ernü ying xiong zhuan (The Gallant Maid, 1851-1879). “Yanbei Xianren” was the pseudonym of Wen K’ang (1798- 1872), a local official in Anhui who came from a prominent Manchu family and was appointed imperial agent to Lhasa. The Gallant Maid is little-known outside of China but is popular inside it, having inspired sixteen sequels. 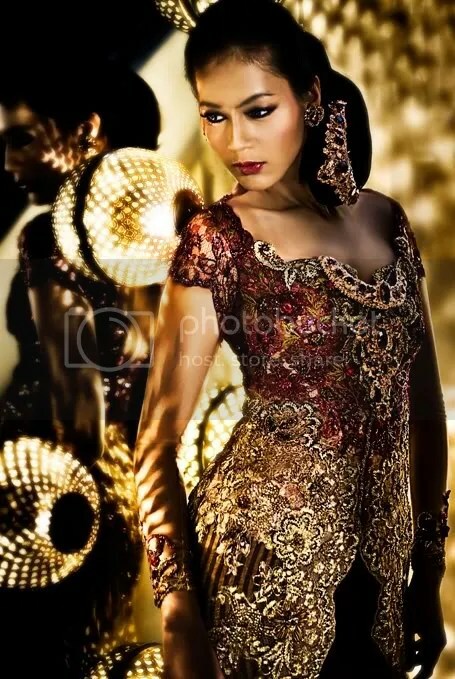 Anne Avantie’s signature kebaya designs are growing in popularity as Asian fashion enters the global scene. Born to Chinese parents in Solo, Indonesia, Anne never had any formal training in fashion design, but always had an interest in the fashion world. Her love for fashion design started young, when she created and sold hair ornaments to her friends in elementary school. As she grew older, Avantie began doing costume design for her school events and other local events in Solo, and in 1989, she started her own company with only a rented house and two sewing machines. Her business soon boomed, however, with her specialization in her elaborately beaded costume wear and wedding gowns. Vlisco model. Click for source. “A picture of a pipe isn’t necessarily a pipe, an image of “African fabric” isn’t necessarily authentically [and wholly] African”. These above words are quoted by Yinka Shonibare, a Nigerian-British contemporary artist known for his amazing artwork using African print fabrics in his scrutiny of colonialism and post-colonialism. What is commonly known as “African fabric” goes by a multitude of names: Dutch wax print, Real English Wax, Veritable Java Print, Guaranteed Dutch Java, Veritable Dutch Hollandais. I grew up calling them ankara and although they’ve always been a huge symbol of my Nigerian and African identity, I had no idea of the complex and culturally diverse history behind the very familiar fabrics until I discovered Yinka Shonibare and his art. 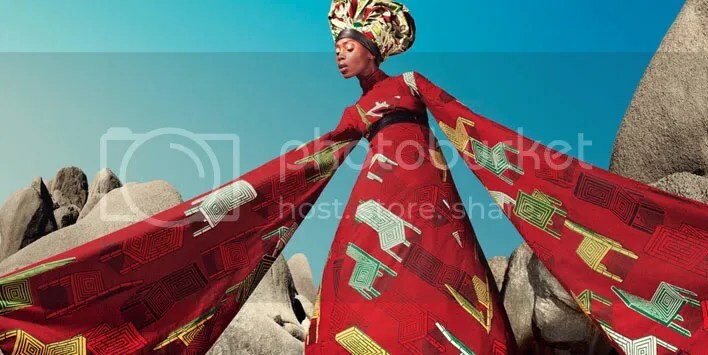 I know I personally felt shocked upon learning that the “African” fabrics I grew up loving and admiring were not really “African” in their origins (or is it?). This put things in perspective, however, as it suddenly made sense that my mother’s friends regularly travelled to European countries, including Switzerland and England, to purchase these fabrics and expensive laces to sell them again in Nigeria. In an attempt to join this lucrative business, my mother once dragged me with her to a fabric store while on holiday in London. I was not 13 years old then and I recall being surprised to find such familiar fabrics on sale outside Nigeria. 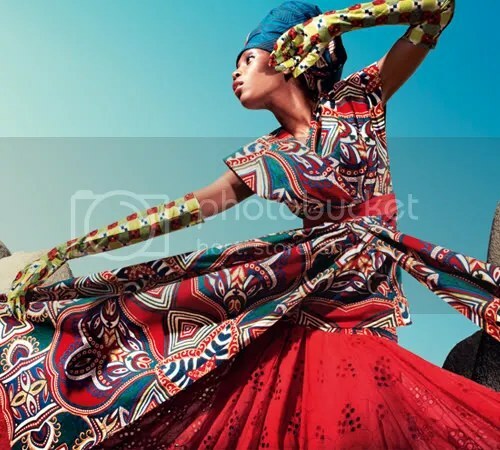 Regardless, I never imagined that the history of this African fabric, henceforth referred to as Dutch wax print, spanned over centuries, across three continents and bridging various power structures. Sculpture of Ji Gong in Ling Yin Temple. Click for source. Jigong appears in Wang Mengji’s Jigong zhuan (Jigong Drum-Song, c. 1859), Guo Guangrui’s Pingyan Jigong zhuan (Storyteller’s Jigong, 1898), and the thirty-eight sequels to Storyteller’s Jigong which appeared in China (mostly Shanghai) between 1905 and 1926. No information is available on Wang Mengji. Guo Guangrui (?-?) may have been a scholar in Yannan. There was a real Jigong. Daoji (?-1209 C.E.) was an eccentric Buddhist monk who ate meat and was a regular customer of prostitutes. Daoji did good works along the coastal parts of Zhejiang Province. He became enormously popular with the common people, who called him “Jidian” (“Crazy Ji”), and his fellow monks saw him as a miracle worker. But because Daoji was subversive and disrespectful toward mainstream Buddhism, Daoji was disliked by the Buddhist establishment. After his death he was almost immediately incorporated into popular culture. He became “Jigong,” “Sir Ji,” a figure of folktales, oral performances, and eventually literature. The cult of Jigong spread even to Malaysia, where he was a popular figure for many centuries. For Tết (Vietnamese Lunar New Year), I’m spending the day with my family (and getting in gear for TempleCon.) But I wanted to leave a little note for today to those who celebrate Lunar New Year’s in any manner. Most people would recognize that today is Chinese New Year, and that it is the Year of the Metal Rabbit. 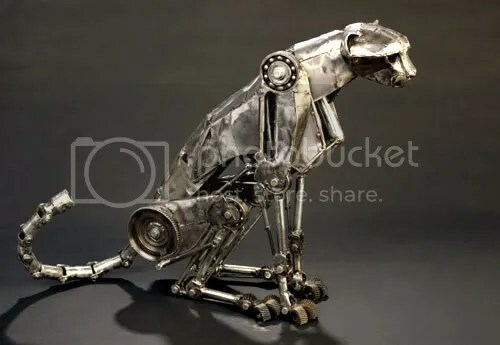 For the Vietnamese, however, Feb 2nd was the start of our New Year, the Year of the Metal Cat. Either one sounds pretty steampunk, though. 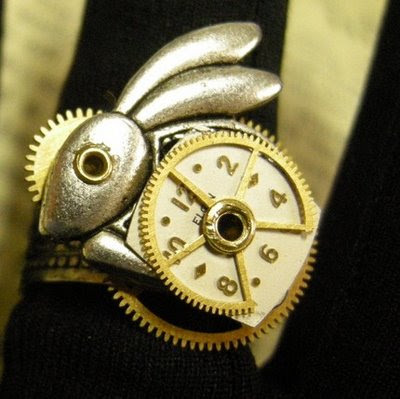 Steampunk rabbit ring. Click for link. Andrew Chase’s cheetah. Click for link. After the jump, check out some more info about how Lunar New Year is recognized around the world. For the last post of the year, I’m enjoying a post-holiday recoup and a some good steampunky links. Featuring some oldies but goodies, great vids, the launch of SteamCast in Brazil, and pretty steampunk art after the jump. For anyone who manages to recognize me in my civvies, though, you’ll probably end up being filmed or photographed, if you’re looking fabulous and want to flaunt it. In the meantime, enjoy the linkspam below. This edition features lots of interesting essays, some awesome postcards, and a video of my interview with Cherie Priest.